Download the HR Planning calendar. When you’re swamped with the day to day of just keeping your business running, even doing HR can slip down the priority list, much less creating an HR plan for the year. But if that sounds like you, I’d really encourage you to rethink your perspective, because good people management is one of the cornerstones of a strong business. And with that in mind, I’m going to simplify HR planning for you as much as possible. Here’s what absolutely has to get done. The key to compensation and benefits is paying all employees fairly and consistently. Many of the compensation laws we follow today stem from the 1930s, when labor unions were established to save employees from having to work long, dreadful hours without breaks, without overtime and for very little pay. Nowadays, break periods and overtime requirements have been legislated federally and in many states as well. When it comes to benefits, we’ve had important acts like the Family Medical Leave Act (FMLA) and Americans With Disabilities Act (ADA) among others to protect employees, as well as the more recent Affordable Care Act. Setting federal and state compensation and benefit requirements aside, you’re pretty much free to determine whether you will have other types of HR practices in your company, including performance reviews, employee engagement surveys, or training. That being said, after nearly 20 years as an HR professional, I can tell you that these can make or break your company. When you have these types of HR systems and structures in place, it’s not only better for your overall workplace culture and productivity, it’s also a great foundation for a defense against employee complaints or worse, a dreaded lawsuit. But, as I said, it’s not strictly required. With the items you selected from the list above, begin to pencil them in on you calendar. Even if some of them aren’t happening for a few months, it’s nice to have a plan in place. I have a confession to make: up until last year I used an offline HR process. It was effective when I first started using it, but as these things do, it deteriorated over time, until, with the help of my new HR consultant, I realized that it had become completely ineffective. Collaborating was difficult, tracking candidates was hard, and the process was choppy, to say the very least. At the same time, we were working with a client who uses JazzHR for recruitment management. With Jazz we could track candidates, both stay aware of a candidate's status, communicate with each other, with hiring managers and candidates. What a difference! I've tried various recruitment systems throughout my career and this one is simple, intuitive and truly streamlines the process and perfectly sized for small and medium-sized businesses, which is why we switched over to it almost immediately. All that got me thinking about some of the other HR tools we use to keep everything running smoothly. While new, shiny systems don’t always help, the right ones can do a lot to simplify your recruitment process, not to mention advance your capabilities, organization, communication, and efficiency. Asana is great for project management, and it’s a lifesaver when it comes to delegation. Plus, it’s free to get started (although there is some advanced functionality with the paid version, and you can easily customize it to work with the way your brain works with both project list and project board options. I always tell people that Evernote is my brain’s external hard drive. It’s my favorite tool to keep notes from one on one meetings, but it’s much more than a note app. With functionality coming out its (elephant) ears, Evernote is a must. Kantola is what we use for online training, and it has everything from everything from non-harassment and non-discrimination training right through to HIPAA training, language training, and customer service training. Well worth checking out. And finally, in a rare plug for our own tool, CoachingQ’s. CoachingQ’s is a collection of cards created specifically for team building and training. They’re regularly updated (so you never have to worry about accidentally using the same questions over and over again), and they’re seriously effective for building a great team. Order your set of CoachingQ's here. Over Thanksgiving I overheard my husband talking to my parents about how successful my business has been in 2016. “Her efforts have paid off!” And, “She’s amazing!” rolled right off his tongue like I was paying him to say those things! Of course, I wasn’t. But my heart grew bigger and my confidence grew stronger so much that I think I stood nearly an inch taller by the end of the day. Let’s face it, how amazing does it feel to be recognized for our hard work? Recognition, either in public or in private, is ridiculously motivating. We are in a unique situation where most of us want to call it a year and sweep 2016 out the door. But wait! Let’s pause and all look at what’s going right in your workplace. In your own way, take a minute or two to recognize someone for their hard work. This can be verbally in front of peers, it can be in private, digitally via email, social media, text, Slack -- there are so many digital choices these days! You pick. Then, add the tagline below to your note (or send it separately if your recognition is verbal). This note was inspired by a Bucket Filling in the Workplace activity to generate loads of appreciation at work. Do you want to pay it forward too? If you received a Bucket Filling in the Workplace note you are hereby challenged to give back three times what you received. That’s right, pay it forward to three people. What is Bucket Filling in the Workplace? Just a note telling someone what you like and appreciate about them. This can be in the form of a handwritten note, an email or even a text. Whatever comes naturally to you. Include the tagline and link at the bottom of your communication (or send it afterward for verbal recognition). Let’s get the spotlight focused on what’s going right in your workplace. Jen, you lead with heart. There is not a leadership decision that you have made this year that your heart didn’t enter the equation. Your ability to pause and take note of where humanity fits into our workplace motivates me to do the same. Thank you for constantly role-modeling this for me and others in our workplace. Ryan, your drive to achieve results is unrelenting. Once you set a goal there is no holding you back to achieve it. This year you hit your sales target and then some. I am beyond impressed! Thank you, Natalie, for your help reinventing our workplace culture this year. People like you are one in a gazillion. Seriously, in your league, you have no competition! Ben, hands down, you are one of my favorite people to work with. You are a bright, big picture thinker who delivers every single time. I appreciate that so much about you. Thank you for being you! Thank you, Emily for helping me keep my head in the game in 2016. It was a tough year and without you I might have given up on our goals. You kept not only me but our entire team motivated with your infectious personality, unrelenting drive and supersized heart. I appreciate you so much. You rock! Is it fair to say that when I’m assigned to projects on your team I do a mental backflip because I know it’s going to be an out of this world experience? Joe, working for you is simply the best. Now, go spread some workplace cheer. I'm talking to you. Yes, you. Do it. You will be glad you did. So you founded your business and dove headfirst into all the excitement and drama of growth and success. Now it’s months or years later, and you’ve suddenly realized that your HR strategy (people practices) is pretty much nonexistent. You might be one of the lucky ones who just happen to have found a minute to breathe and focus on your people practices … or you might have had a serious problem come up in the business that’s forcing you to address your HR game plan fast. Either way, I’ve got good news for you: creating an exceptional workplace grounded in solid, sustainable people practices is easier than you think. Right now you’re probably asking yourself loads of questions, like “What am I doing to actually manage the people side of my business?”, “Is there a better way to do this?”, or the gut-clenching, “Am I even in compliance?” As scary as that can feel you’re actually in a good place. There is no “right” time in starting, growing, and owning a business to ask these questions. A lot of clients come to me really embarrassed about the state of their people practices, or worried that they’ve somehow missed the window of time in which they should have been developing their HR strategy. The truth is, there’s no perfect time to start developing your people practices, so you can let go of any guilt or “should-have” feelings! I always recommend that you start with a baseline HR audit to get a really good understanding of how things stand right now in your business. During the audit, take a detailed look at all of the aspects of your business that touch employees: recruitment, training, onboarding, employee relations, compensation, benefits and workforce communication. You may choose to conduct an HR audit on your own or work with an HR Consultant or Employment Attorney who have expertise in this area. Then use what you find as a baseline to understand what you’re doing well, and what you need to focus on to cultivate excellence. Audits are great in that they give you a lot of hard data about your business, but they’re also inherently limited, especially when it comes to qualitative, softer data, so you need to make sure you’re asking your workforce what they think too. You can do this really easily with a simple employee engagement survey, followed up quarterly with a NPS survey, which is a 1 - 2 question survey that gives you a quick “temperature check” of your business and lets employees give open-ended feedback. Then take it even further. Once you have this really powerful combination of hard data and insight into your employees’ thoughts and feelings, you can start working towards excellence. Identify at least one area where you could change or improve, and make that a priority for the quarter. You’ll know that you’re actually working on something that needs improvement (instead of just shooting in the dark) because of your baseline audit, and you’ll have an easy way to check in with the results of your changes in your quarterly NPS survey. With this kind of information, the sky really is the limit, so dream big — and enjoy the benefits of a business people love working for. When a team is working well together, it’s like nothing can go wrong — everything runs smoothly, projects end up better than you could have hoped, and any setbacks you have seem challenging, but doable. But when a team gets out of sync … everything goes downhill fast. Things start to get lost in the shuffle, communication breaks down, important tasks slip through the cracks, and before you know it, you’re struggling with total chaos. Sound familiar? Try these 5 things to get your team back on the same page fast. You know what your vision is for the company, team, and project, but your team won’t unless you tell them. So start by getting very clear on your vision and the real reason you do what you do. Once you’ve figured your why out, it’s time to break your vision down into specific goals and communicate those to your team. Break it down so it’s clear what part each team member plays in meeting those goals, and answer any questions that come up. This way, you’ll be able to get everyone heading in the same direction, towards the same goals, using the same road map. It’s rare to find a team where everybody naturally pulls in the same direction. But you can foster that sense of teamwork by having people work on non-work projects together. It can be something that contributes to the community, like building a house together for Habitat for Humanity or working a water station at a local marathon; or it can be something a little lighter, like playing a game together. One client even had their team visit the Portland Escape Room — they had a blast and came away a stronger team. Want a really easy way to implement? Try doing a team builder at the beginning of your team meetings. it will get everyone focused, and will help the team work together. Here is an epic list of great team builders. It sounds archaic, but team meetings can be a lifesaver if you know how to manage them properly. Make sure you set an agenda before the meeting, and pre-schedule meetings in intervals that work for your business so your team can count on them happening. This is the ideal time to reinforce the vision and focus on team building. And remember, your meeting doesn’t have to look like a stereotypical, hour long, talking in circles team meeting. Some teams only meet for 15 minutes every Friday, others meet for an hour every month. You could set a timer to ensure your meeting ends on time and is efficient or have a standing meeting - standing meetings are always efficient. Figure out what works for your team — and stick to it! In so many businesses, the only time employees really hear from their leaders is when things go wrong. But this is discouraging, and it sets up an adversarial relationship between teams and leaders. Your team needs to hear from you regularly, so decide how often and in what ways you’ll communicate with them. For example, you may decide to send out a regular Monday morning email to your whole team setting out the goals and agenda for the week, and then have a quick Friday afternoon email, video message, or conference call to wrap up the week. Or you may decide to base your communication around projects, with a call to start the projects and weekly email check ins. It’s all up to you — but remember, be strategic, not tactical about your communication plan. You don’t want these particular communications to get bogged down in back and forth or detailed discussions. This is more about high level leadership than day-to-day troubleshooting. Love practical tips for creating an exceptional business? We’ve got loads more in The Exceptional Workplace, an eletter for conscientious business leaders! Sign up here. Imagine with me for a minute what it would be like going through life, or even a day, using only your non-dominate hand to write with during your daily activities. Sure, we don’t write as much as we use to, but the exercise remains relevant. Think about this, you’re making your to-do list for the day, taking notes during a meeting, editing a report, writing a note to your partner, creating your grocery shopping list and you can only use your non-dominate hand. What would it be like? People report that it is “difficult”, “not as easy”, “I really have to think when I write with my other hand”, “it doesn’t come naturally”, and “my handwriting is horrible”. This is precisely what it is like when at work you focus predominately on overcoming your weaknesses. Now, imagine using your dominant hand for those daily handwriting activities. It feels “natural”, “easy” and people report, “I’m good at this”. This is the same feeling you get when you focus on and capitalize on your strengths. Things come easy, natural and you’re good at them. Using strengths-based leadership is like creating a certain Zen in the workplace. It’s how things are meant to be. You and your team are working “in the zone”! In Q4 of 2015, I invested in Gallup’s Strength-Based Leadership materials for trainers/consultants. Nearly a decade ago, Gallup unveiled the results of a landmark 30-year research project that ignited a global conversation on the topic of strengths. More than 7 million people have since taken Gallup's StrengthsFinder assessment, which forms the core of several books on this topic, including the #1 international bestseller StrengthsFinder 2.0. In recent years, while continuing to learn more about strengths, Gallup scientists have also been examining decades of data on the topic of leadership. Gallup has 50+ years of researching that has given me a deeper knowledge base so that I could train and facilitate more strengths-based programs with my clients. I believe in this approach, and the results it delivers, thus using Gallup’s tools has become a focus of my practice. Did you know that leaders who focus on their teams’ strengths increase the chances that their team is engaged eight-fold? In January I conducted a Strengths is Our Superpower ™ training for a client. The 24 participants began the training by taking the StrengthsFinder Assessment to identify their top 5 strengths. Based on what they learned they participated in a fun exercise to show the benefits of knowing and using their team’s strengths. Strengths is Our Superpower is built to help participants gain a deeper understanding of their top 5 strengths. Participants worked in teams to build a structure out of uncooked spaghetti, string, tape and a marshmallow. The goal is to build the tallest freestanding structure using only the supplies provided. Teams were given time to plan as a group how they would build prior to actually executing the construction of this structure. Then they had 10 minutes to build. Some teams building process or execution didn’t go according to plan and they had to adjust their plan on the fly. Teams that leveraged their members’ strengths proactively had better and quicker results than those that did not take this information into account or only considered their strengths reactively after initially experiencing failure. Beyond understanding strengths individually, having a strengths grid for the overall organization, can be a powerful tool. At the recent client training, we mapped everyone’s top 5 strengths, to show where employees had similar and different strengths. For this client, executing is what they do. It’s not surprising then, that many of the strengths fell within the executing domain. It makes sense. For leadership teams, having a strengths grid ensures alignment between people resources and current business goals. Looking to the future the strengths grid is a tool to understand any gaps in your organization’s skill set in order to more effectively recruit and hire in a purposeful manner for the future. Knowing and understanding your individual and organizational strengths is a super power. Are you looking for ways to invest in and super charge your workgroup? 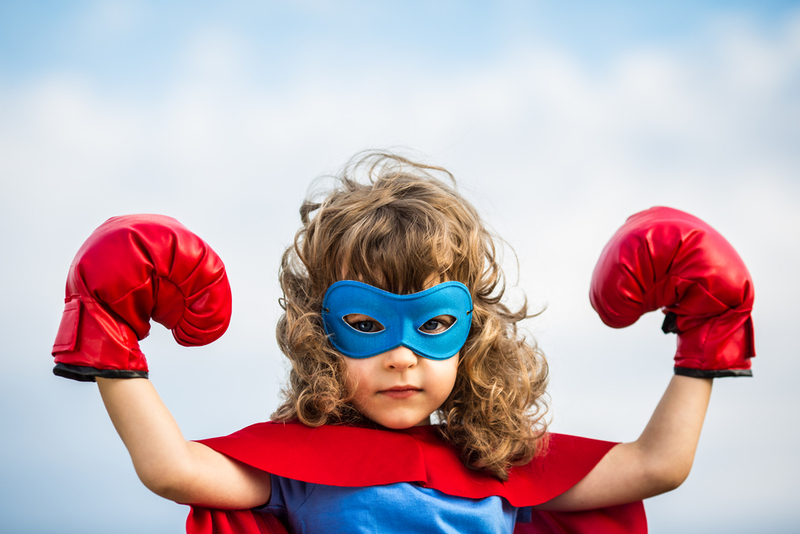 Contact Amy to learn more and/or schedule Strengths is Your Superpower™ for your team.